In a small bowl, scramble 1 egg with a fork. Blend the milk and vanilla with the egg. Then add 1 tsp cinnamon into the mixture and stir until just blended. 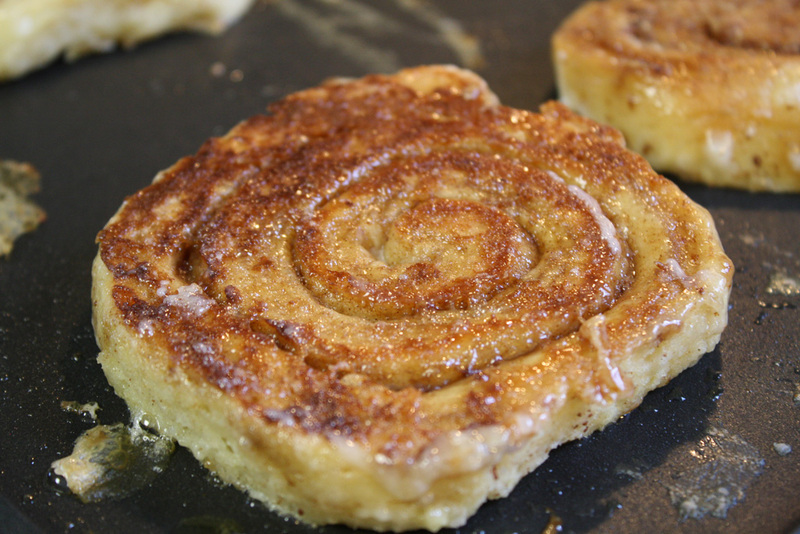 Cut the cinnamon rolls in half lengthwise. Heat the margarine in a frying pan or griddle. Then, dip each side of the cinnamon rolls in the egg mixture, allowing excess to drip off. Place the French Toast on the griddle and sprinkle more cinnamon on top. Cook each side for 3-5 minutes or until browned. Plate the French Toast and add syrup! Serve a side fresh fruit with go with this deliciously sweet meal!